It's about time to think about all the candles you will need to make your house seem more ominous this Halloween. I tend to have candles lit all the time throughout fall and winter anyway. These really cool candles by First Edition Candle Co. are great for Halloween. What I like about all these candles the most is that it looks like the wax is multicolored. So as it is lit, the dripping wax is going to look different. That's pretty creepy! Obviously, a candle that melts in black and orange is perfect for Halloween! I wish the orange was a bit brighter, but at least it is orange! This Night of the Living Dead candle not only has the best color combination, but the jewel on the front showing the poster is really awesome. 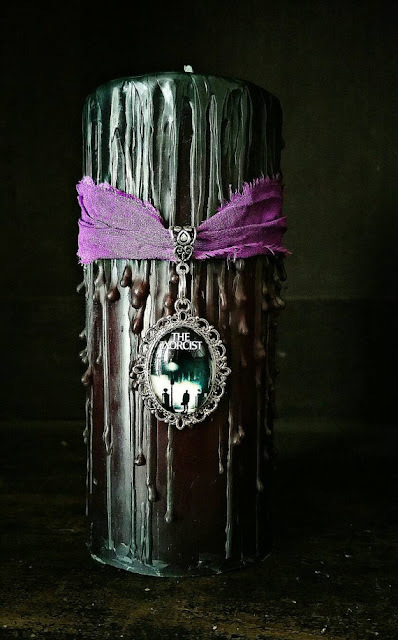 This Witch candle actually sent chills down my spine. Just how it oozes that bright green wax is really creepy against the black candle. The witch illustration in the jewel is actually really beautiful though! 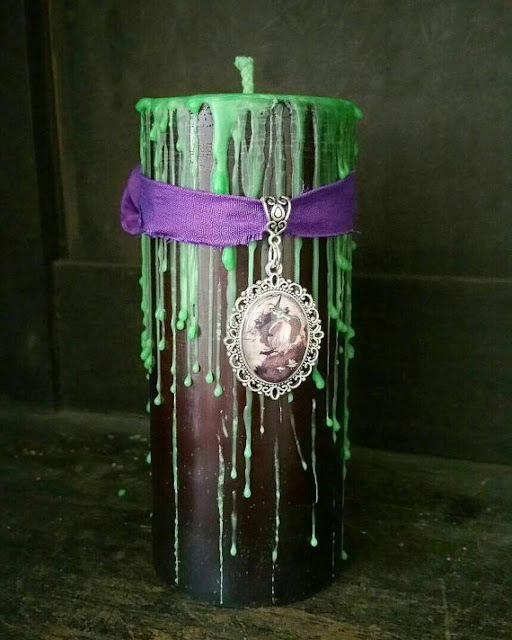 The mint color dripping down from this White Zombie candle is very eerie. 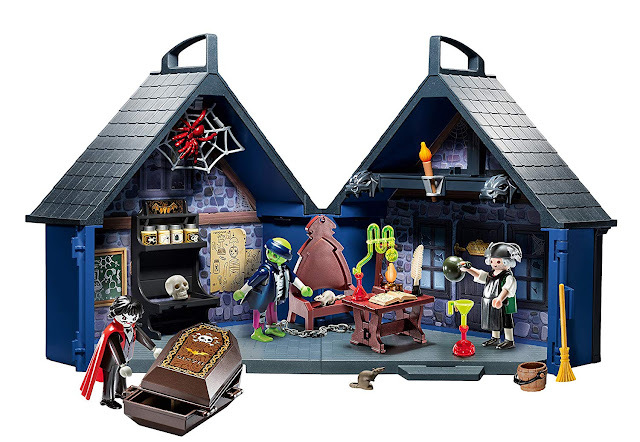 I admit, I thought this was based on the White Zombie artist. 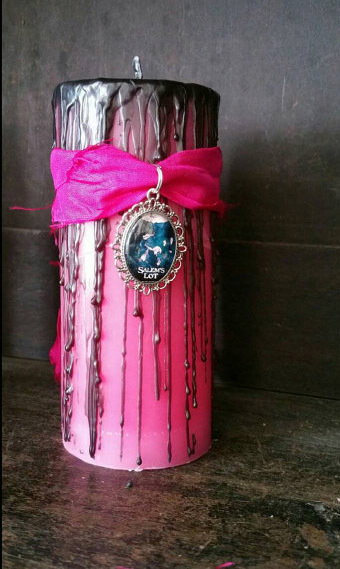 This candle celebrates the strange film White Zombie from the 1930's. That's a classic I need to watch! That creepy spider walk has burned itself in my brain for such a long time. That's exactly what I think of when I see The Exorcist candle. There is even a slight color change from black to a really dark red that's really unsettling. 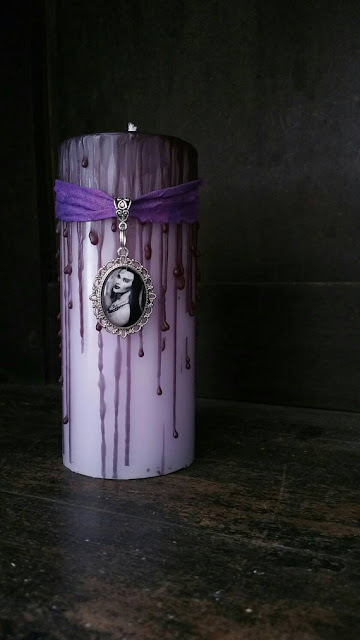 Rather that having a scary themed candle, this Lily Munster candle is very elegant. I love the purple wax transitioning to the black - how gorgeous. It's a perfect representation of the stunning Lily Munster! Red and black is my favorite color combination. It definitely reminds me of Dracula and vampires in general. 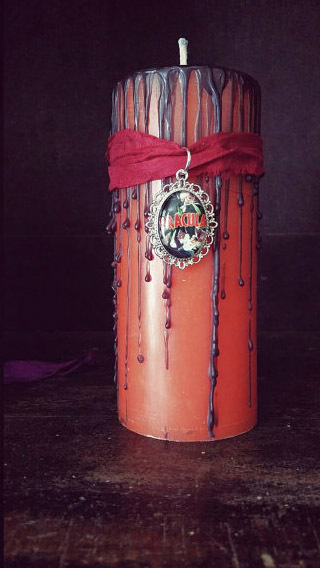 The black wax oozing out of the red candle is absolutely sinister! The poster inside the gem really pops with this color! 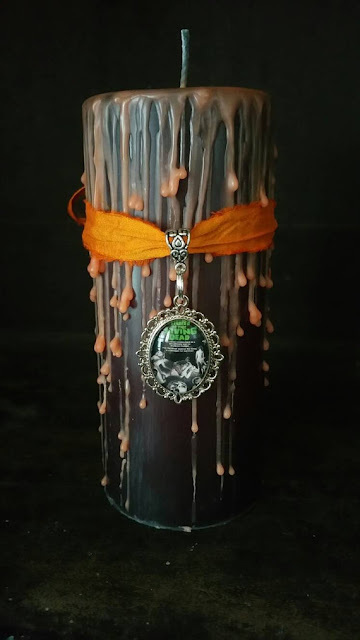 This Vampire horror candle is oddly gruesome and stunning. 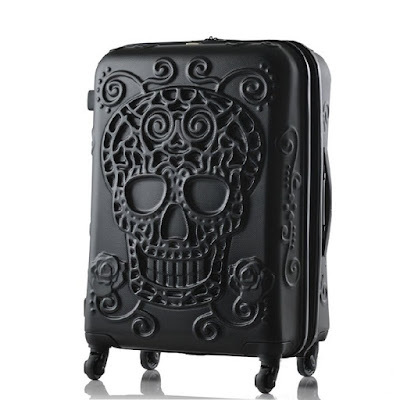 This is actually a great gift idea for lady friends who really love anything related to horror and Halloween. Can you think of a theme party this candle would go well with? Maybe El Dia de los Muertos? 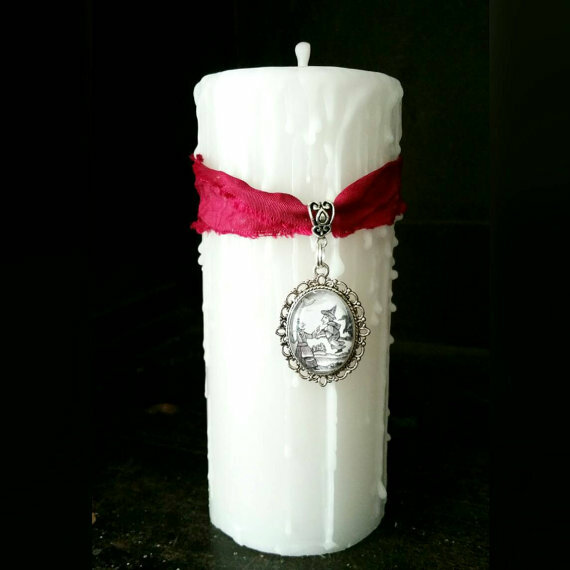 If you're having a ghostly gathering party, think about getting this Wicca history candle. The witch picture in the glass bead is really cool too! 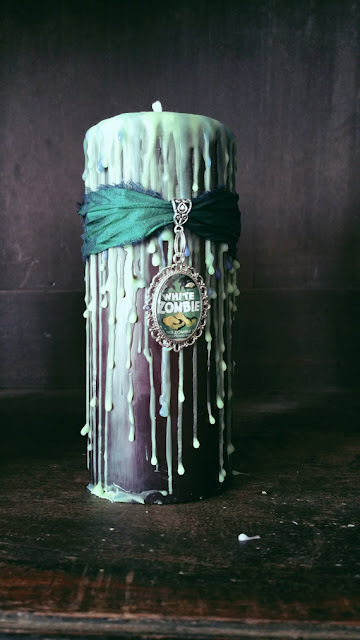 What do you think of these Halloween themed candles by First Edition Candle Co? I love the different colors and how it changes when it melts! Some are super creepy and others are really fun! Check out the rest of the store on Etsy and comment below! The cotton wicks are great but I wish they offered a soy alternative.